The decision to scrap a council meeting over concerns that it would prejudice the Grenfell Tower inquiry was “nonsense,” a legal expert has said. 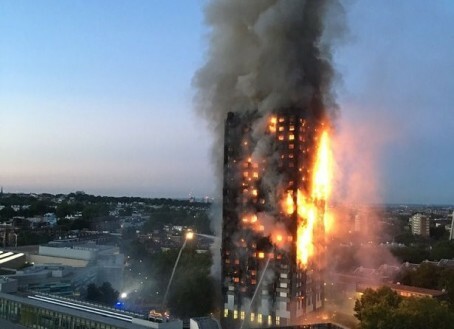 Councillors, residents and open justice campaigners vented their dismay on Thursday after Royal Borough of Kensington and Chelsea leader Nicholas Paget-Brown claimed the presence of reporters would “prejudice” the forthcoming public inquiry into the blaze. His actions – based, he said, on legal advice given to the authority – have since been criticised by Downing Street after the council cabinet meeting, the first since the tragedy on June 14, was aborted. Legal expert Mark Stephens, a senior partner with law firm Howard Kennedy, said there was no way inquiry head Sir Martin Moore-Bick could be “influenced” by the meeting. “Judges understand how to weigh evidence, they understand how to exclude prejudicial facts and won’t allow them to be tendered as evidence. Journalists were initially been barred from the meeting, and were met with security, until an order from the High Court permitted them entry. Mr Paget-Brown had already begun a statement on the authority’s response to the crisis when reporters arrived. After giving a short update, he announced to the room: “Given the public inquiry, we want to ensure our meetings do not descend into informal inquiries without all the facts to hand. “As you will be aware this is a private meeting of the cabinet, to which other Kensington and Chelsea councillors have been invited. “I have agreed the meeting be held in private, given the subject under discussion and the recent real threats of assault on council staff and damage to buildings. Mr Stephens said journalists helped play a crucial role in enabling transparency at a time when so many residents wanted answers. He said: “I think emotions are running high, and part of that reason is because of the sub-optimal way in which the authority has responded to the crisis. “They need to be accountable, public and transparent. It is obvious that the press should not have been excluded. “Given the national significance of this, the scrutiny and importance of this is absolutely vital for public safety and informing the public. Many is the time I have been kicked out of a council meeting “on legal advice” which is very difficult to challenge. If they opt for press exclusion, councils should identify who is supplying the “advice”. Unfortunately, councillors are rarely sympathetic to a media challenge. They accept the advice as an instruction that must be obeyed.